If you're tired of city hassles but love convenience this 4 bedroom, 3.5 bath home with sleeping loft is located within minutes to the town of West Jefferson featuring quaint mom and pop shops, restaurants, galleries, boutiques and more. After winding along the picturesque country road you arrive at this modern day farm with all the amenities that make for the perfect mountain vacation. 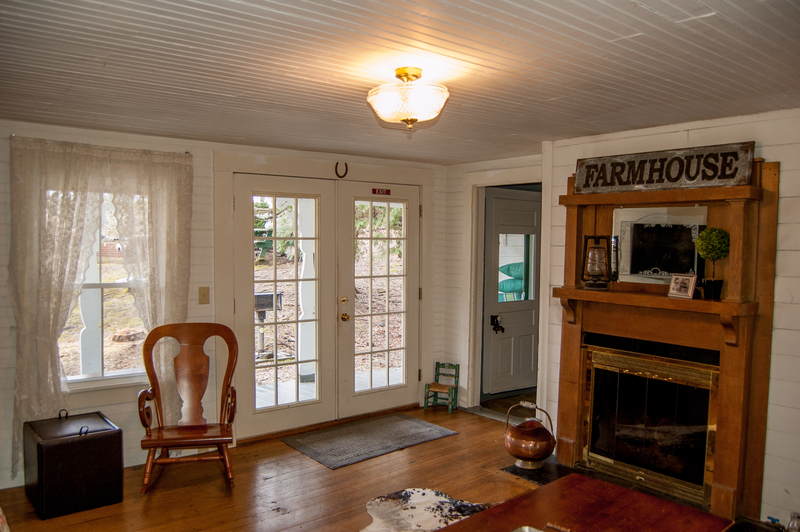 Inside you'll experience the country charm throughout. 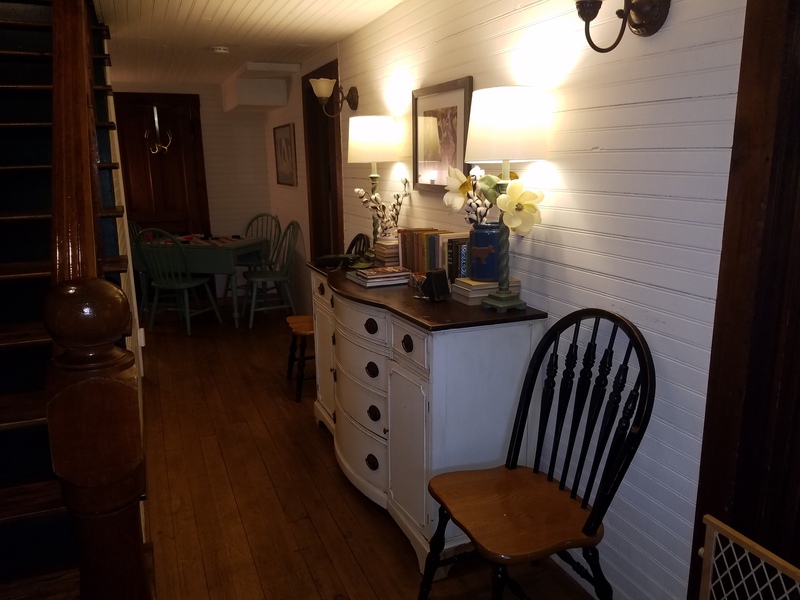 The kitchen is fully equipped and offers seating for 6 at the farmhouse table and additional seating for 4 in the dining nook. 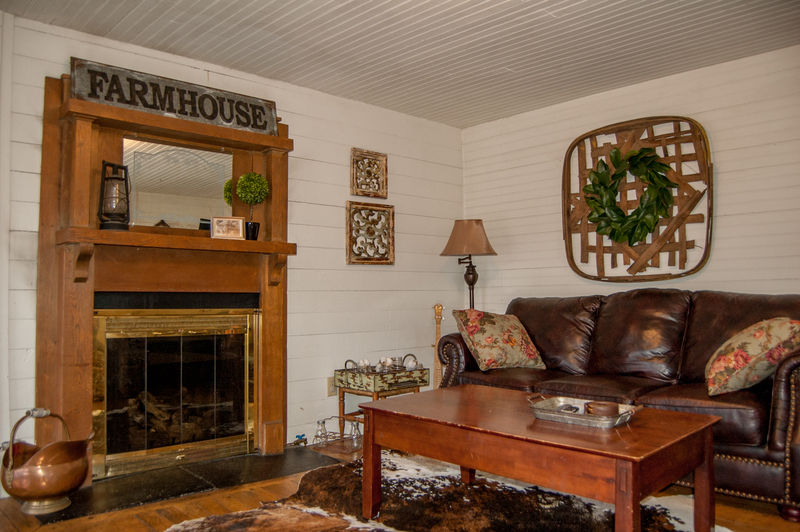 In the living room you'll enjoy comfy furnishings which are centered on the antique fireplace with gas logs. 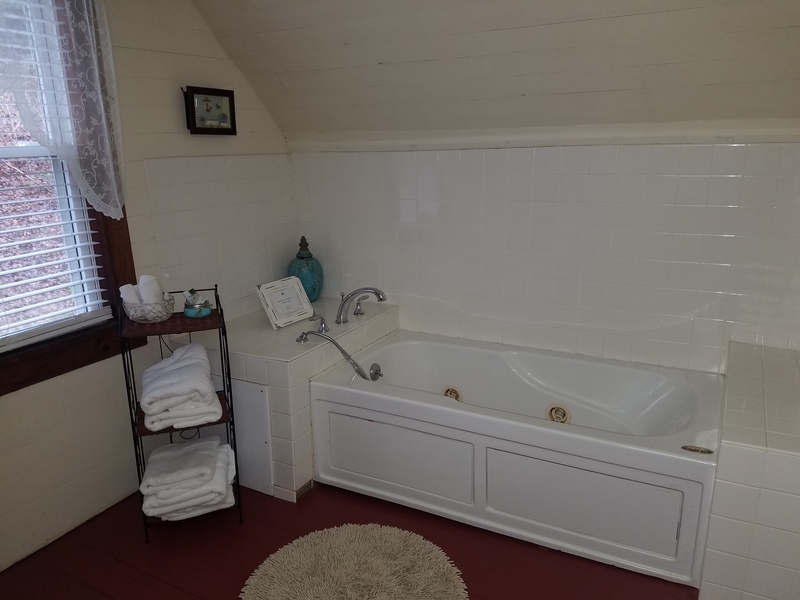 The main level also features a master suite with king size bed, private full bath with tub / shower combo and with walk out access to the back porch. 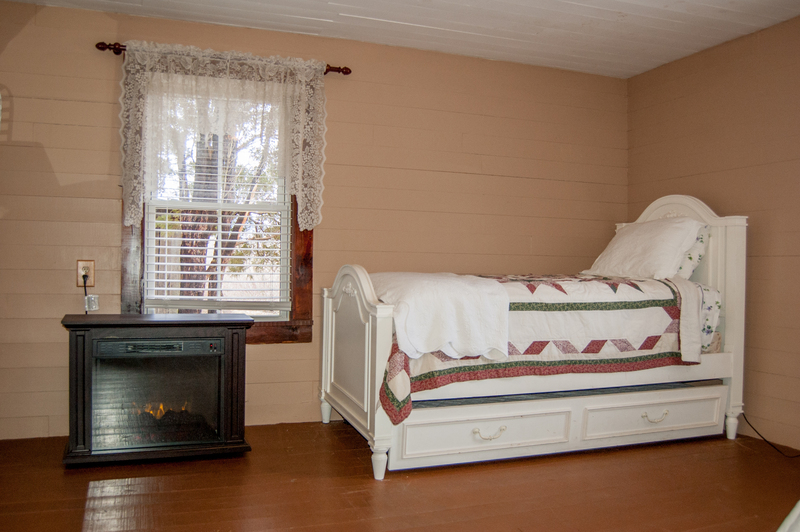 There is also a second bedroom on the main level with queen size bed and twin bunks. 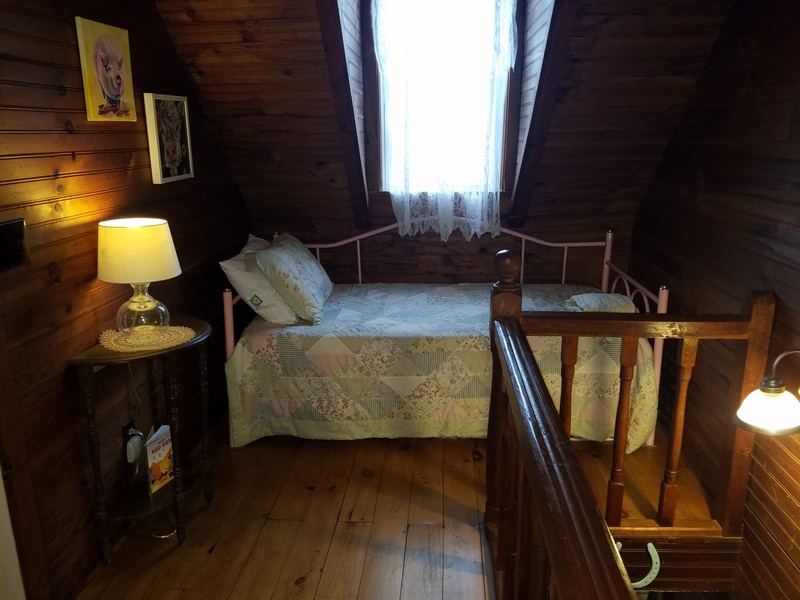 The upstairs offers two spacious bedrooms both one with queen size bed and the second with a king size bed each with their own private en suite baths with whirlpool tubs. 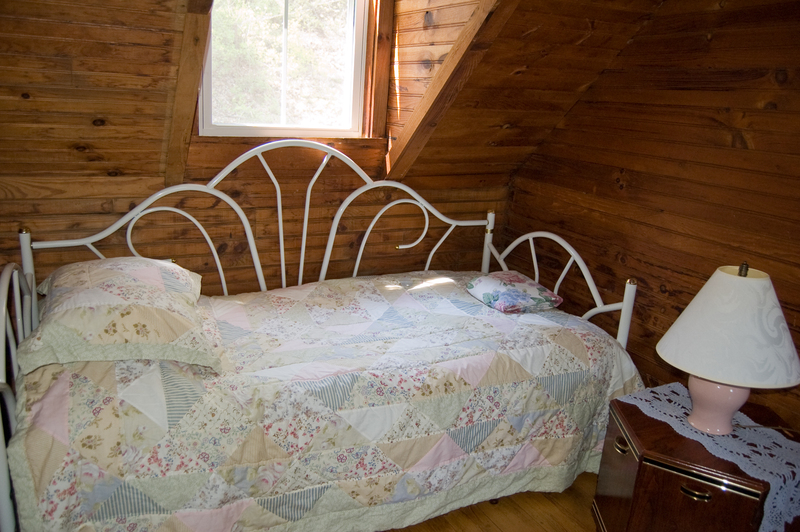 There is also additional sleeping in the loft with two twin day beds. The outdoor area is perfect for an evening BBQ or enjoy trout fishing from your front yard. If you enjoy peace and quiet, come home to this modern day farmhouse. 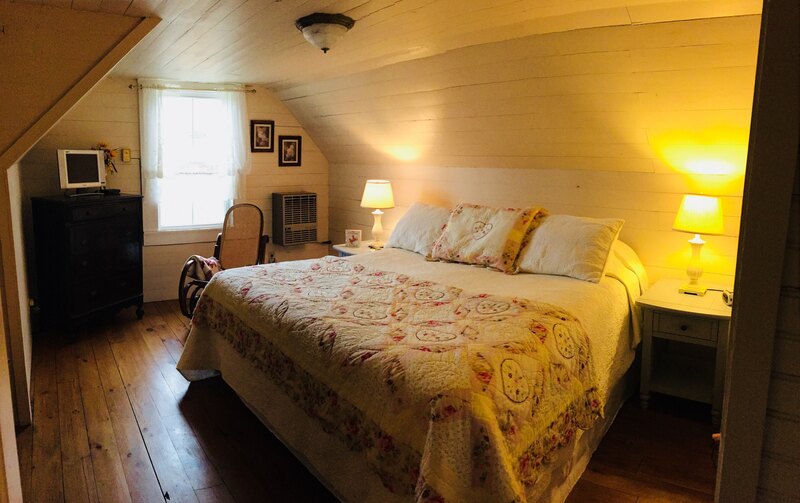 "The Lil' Red Hen is a cute restored farmhouse located just down the road from downtown West Jefferson and close to a number of hiking spots. The place has tons of room with 4 spacious bedrooms and 3.5 baths. The house itself featured a number of nice touches for a family including baby gates for the stairs and a wide selection of games. Weather permitting (we visited during the winter), there is a top notch porch sitting opportunity with Beaver Creek flowing by just in front of the house. It has everything you need for your family (including your DOGS!) to enjoy your stay. The town itself is very cute and has a number of nice restaurants (we esp enjoyed Boondocks & Sweet and Savory), very nice downtown movie theater (great prices and comfortable seats), a number of unique shops, and multiple hiking options nearby (Cascades Trail was beautiful and good for kids). 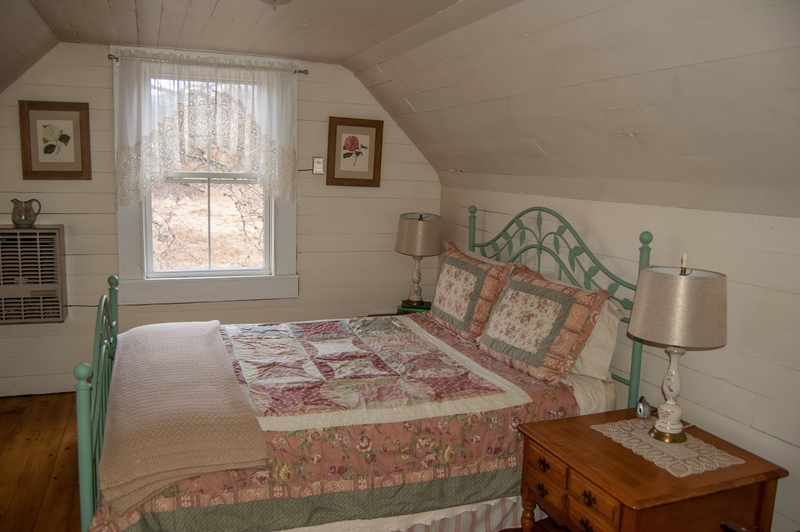 We would definitely recommend the town and the Lil' Red Hen for your getaway into the mountains." "Everything was wonderful except the fireplace was not working properly. 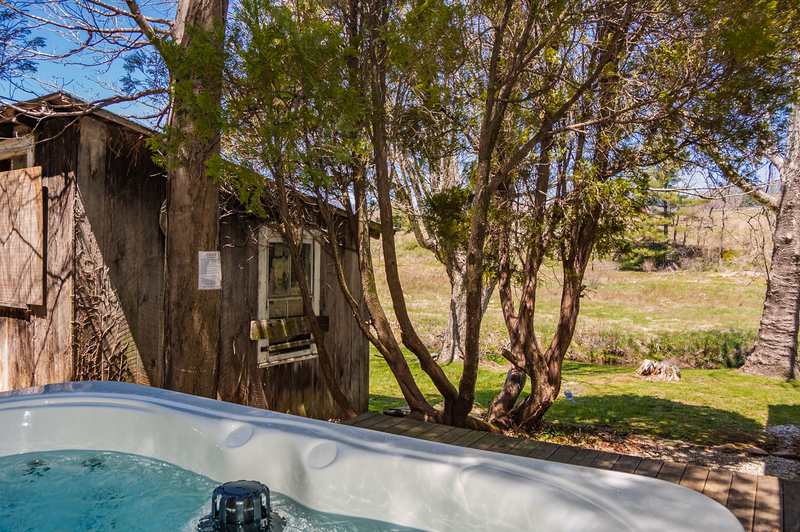 It is a beautiful property and the hot tub is great!" "We took the whole family, like me they didn’t want to leave. It is secluded some what but convenient to to shops and other attractions. Will be back next year." "it was a great place to stay and enjoy. being from the country it was very restful sitting on the porch and listen to the water. thanks to the owners for allowing us to stay in their house." "Our family of 12 stayed and there was plenty of room for us all. Even though it rained 3 days with a break here and there we found plenty to do. The creek was never without the kids. It did rise one morning and we took turns floating down it on a raft. Small fish were caught. The canopy of old trees protected the fire pit. Under the day beds are pull out mattresses. The kitchen table has a leaf and 2 extra chairs. It does have 4 window air units but it stayed cool. Be careful going into some rooms either stepping up or down but it is an old house. Also the steps going down from the hot tub deck when wet are slippery. The bridge in the photos is your bridge to cross the creek to the house. Highway is not a problem. We took family pictures and the barns are great. WiFi and TV work good. You’re 4 minutes from Walmart if you need anything. Can’t wait to go back. Awesome vacation. Thank you for offering your house. We’ll be back. " "Absolutely love the location! Close to West Jefferson but off the highway. 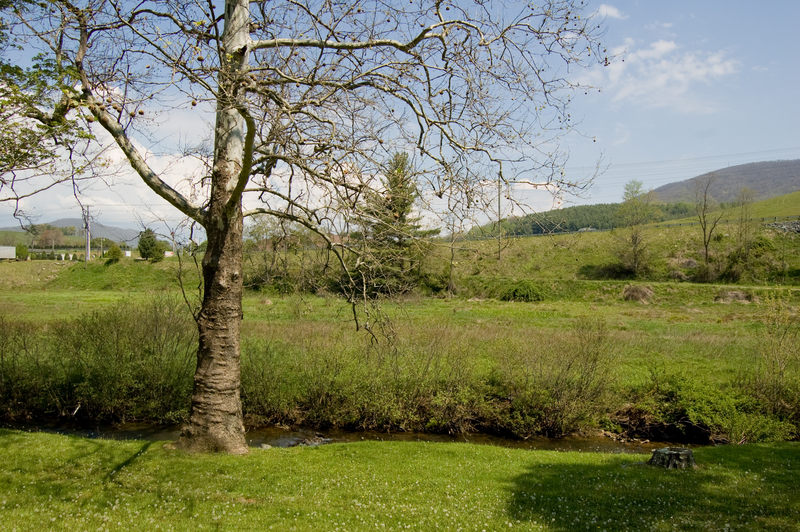 Love the creek out front of the farmhouse and the sounds of the running water when relaxing on the porch. Our children didn't want to leave the property. They tubed in the creek, caught crawdads and little fish and enjoyed wading in the cool water! They loved the layout of the farmhouse! The yard was beautiful with the flowers in bloom! The hot tub was a wonderful addition since our last visit. Once again,we enjoyed our stay and look forward to a return visit! The only things I would like to see changed would be a rocker/recliner or two in the living room instead of the two chairs. A hummingbird feeder on the porch would be a nice touch because we saw a couple of hummingbirds by the walkway in the flowers. The wifi goes out if you move around inside the house or walk on the porch. This may be caused by the positioning of the dish outside if that is the source of the wifi. We didn't have this problem when were there in January." 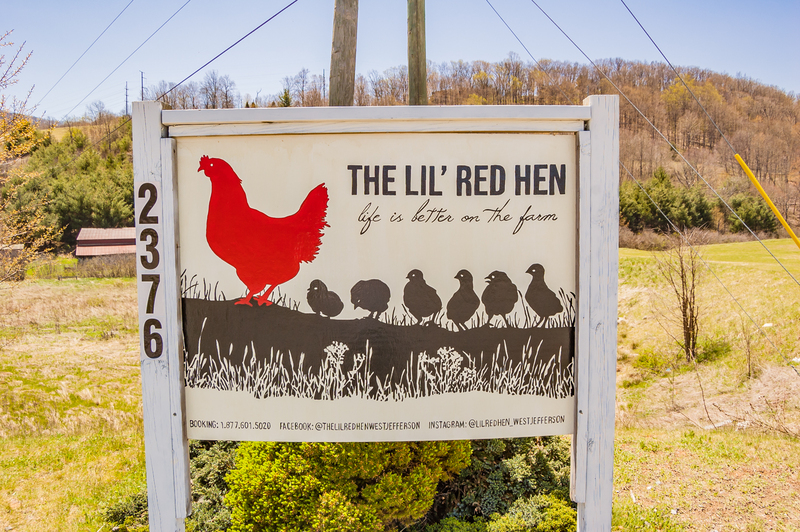 "Loved staying at the Lil' Red Hen. Definitely will be back!" "My family absolutely adored this home and surrounding property. Very relaxing and also plenty of land for kids to run and play. Nice trout stream with actual beaver citing which was neat!" 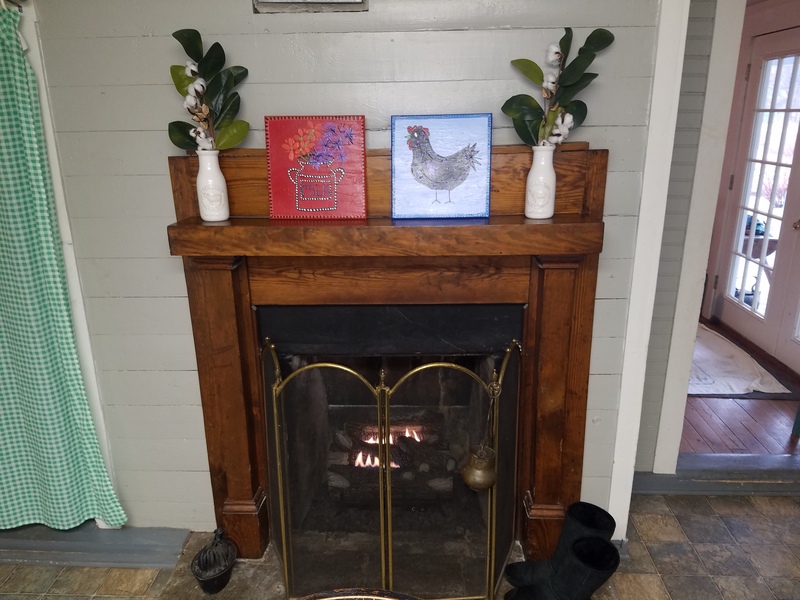 "We loved staying at the Little Red Hen. It is filled with country charm inside and beautiful surroundings outside. 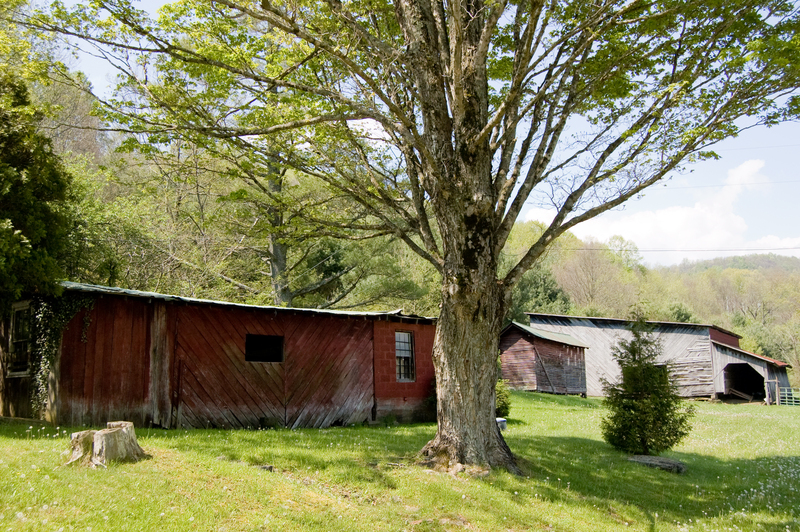 Close to West Jefferson for convenient shopping at Ashe County Cheese or the many quaint shops filled with antiques. Great food offered close by! Among our favorites are Hillbilly Grill for breakfast or lunch and Smoky Mountain Barbeque for supper. Close to the parkway, Todd and Boone but more relaxing. The New River is close by with a couple of options for tubing and kayaking. Friendly people if you go out and comfort if you stay in! Can't wait to visit again. Only issue for me was TVs in bedrooms could be updated." 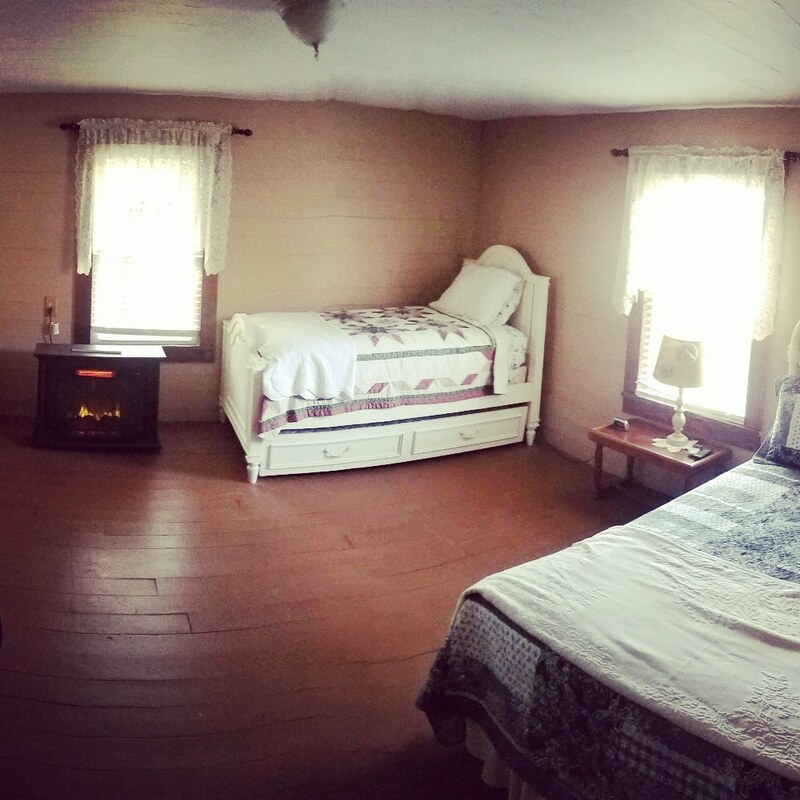 "We enjoyed our stay at the Little Red Hen even though it was extremely frigid outside! With the fireplaces and heaters we stayed snug and warm inside even when temperatures were in single digits and wind chill below zero! It was easy to relax and unwind watching the flames from the gas logs in the fireplace and the flat screen TV in the living room! It snowed the day we arrived and we enjoyed seeing it snow again during out stay. Very close to West Jefferson and everything you need! We visited the Ashe County Cheese Factory, Hillbilly Grill and Smoky Mountain Barbeque which were all within a couple of miles of the house. This is an old farmhouse inside and out! Great decor for the farmhouse! The only thing that I would like to see would be updated TVs in the bedrooms. The rocking chairs on the front porch would have been well used if weather had permitted! Look forward to that on our next visit! The grounds are beautiful and picturesque and the creek running in front of the house adds to the charm. Can't wait to stay here again!" "We really enjoyed the house!! It felt very homey!! It was clean and exceeded our expectations!! " 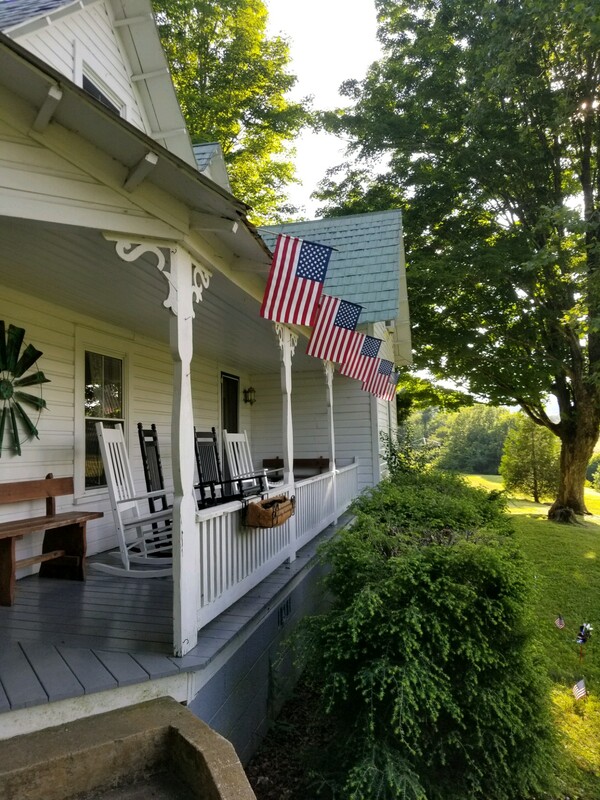 "Perfect place for us to phone, no wifi, lots of fresh air and outdoor beauty from the front porch, the creek in front and the hillside! Loved the old farmhouse inside and outside! Hope to go back soon and bring the family this time!" "Our group of 9 really enjoyed this vacation rental, however there were a few minor things that we weren't really pleased with. First, the sidewalk was very dark at night, and with wet leaves during the fall it was a huge falls risk. The driveway could use some markers at night because it is also pretty dark. When taking a shower or using any water from the house, we were slapped with a strong, very strong chlorine smell that burned some people's eyes and irritated some people's skin. I'm not sure what was going on there but it is definitely something that needs to be checked. Other than those minor things, the house is very cute and charming and perfect for big families or groups looking for a nice place to vacation at in the mountains! " Thank you for the feedback. We will address adding some additional lighting along the parking area and walk way. We appreciate that suggestion. We also recommend you bring a flash light when arriving after dark. Street lighting is very minimal in the mountains in general which is one of the many things our guests love about this area, especially our star gazers! We also apologize for the issue with the water and wish you would have called so we could have remedied sooner. The well had recently been chlorinated and the water system just needed to be flushed a little more. We're pleased to hear overall you enjoyed your stay and look forward to having you again soon. Always feel free to contact us during your stay if you have any questions or concerns, we happy to address those as quickly as possible. "Loved the house nine adults stayed the weekend and had a blast. " "This place was so amassing we will be back again!! Thank you so much!!" "Beautiful place and West Jefferson was just minutes away. We had a great time visiting the cheese factory, tubing, and going to the old movie theater. The people were so nice that we miss it already." "This property is easily accessible. 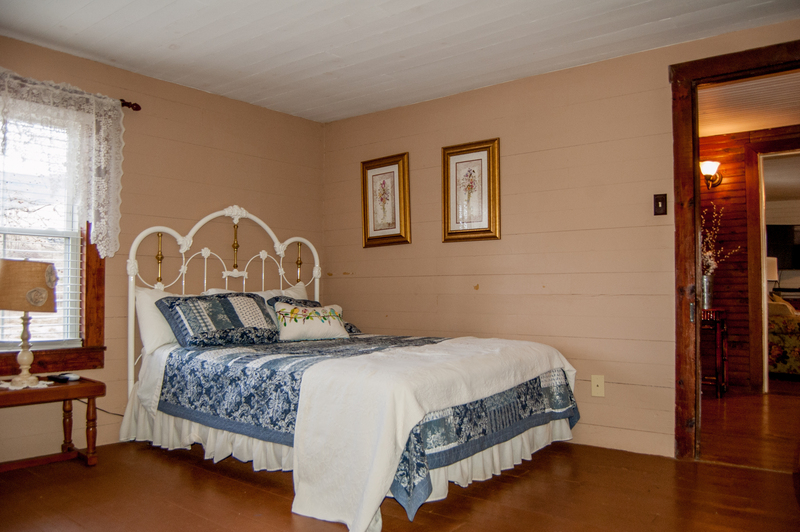 Located on a beautiful piece of land with a stream running right in front of the home. Rocking on the front porch while listening to the running water is sure to relax event the most anxiety ridden person. Home is very large and has everything needed to cook for large groups. I do recommend bringing soaps, tissues, paper towels and toilet paper." 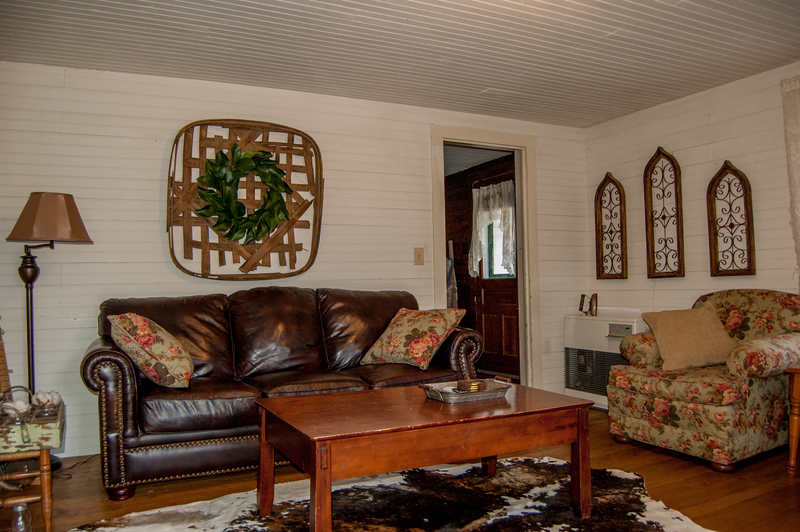 "We loved the Little Red Hen house in West Jefferson and have rented the home more than once. Lots of room, clean, plenty of play space for the kids outside." "It was great! Very cozy, close to grocery store, pharmacy and shopping. Were able to vusut one of the nearby state parks for hiking. We enjoyed the relaxing stream just a few feet from the porch.."
Thank you for your response! We are happy that you had a great time here! Thank you for staying with us! 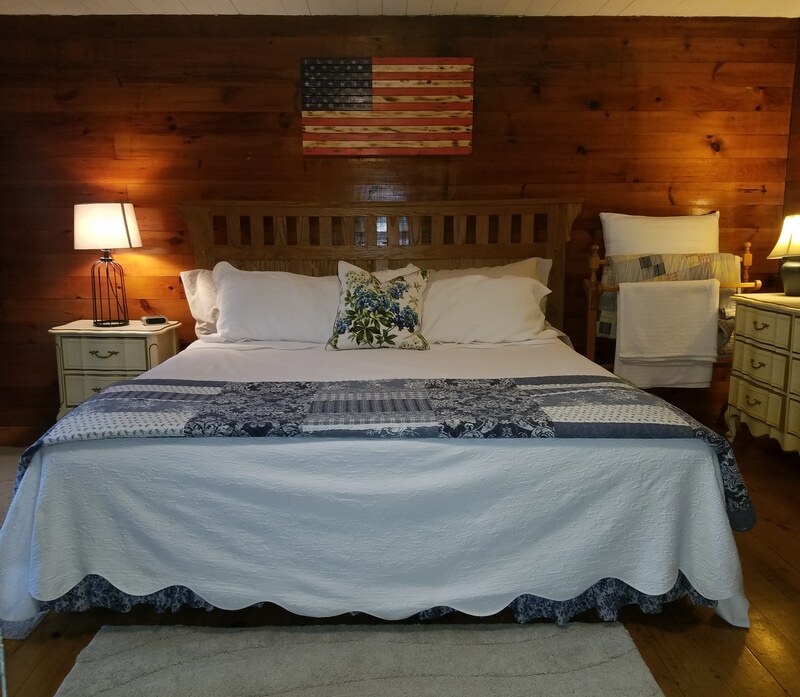 "We stayed at the Little red Hen and enjoyed our visit very much.The house was charming, clean and comfortable. Peaceful mornings sipping coffee on the porch. Minutes from downtown there was much to do in the quaint city of West Jefferson and not top far from Boone/Blowing rock to enjoy a nice hike. 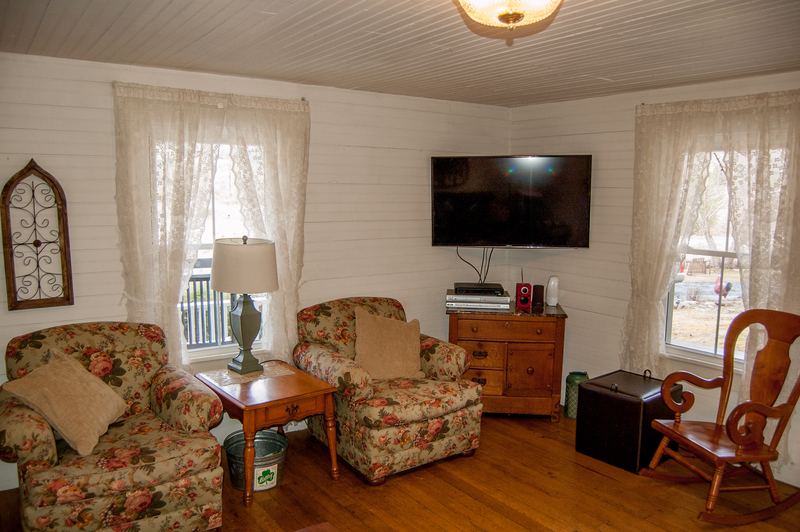 Thank you for making us feel right at home with all of the amenities in a cozy home. It was so beautiful there we actually took a few family photos. We didn't want to leave!" Thank you for your response. We are happy that you had a wonderful time at Little Red Hen. Thank you for staying with us and we hope that you will be back soon. We are glad that you had a wonderful summer vacation. "We had a great time! The house was bigger than we expected, which was great since we had 4 children and 6 adults in our group! Everyone was very comfortable and we loved the house. The highway was much closer than we thought, but wasn't too bad with the large hill situated in front and the creek as a buffer. A great stay for a great price!" Thank you for your review. We are happy that you had a wonderful time and glad that you and your group had plenty of room. 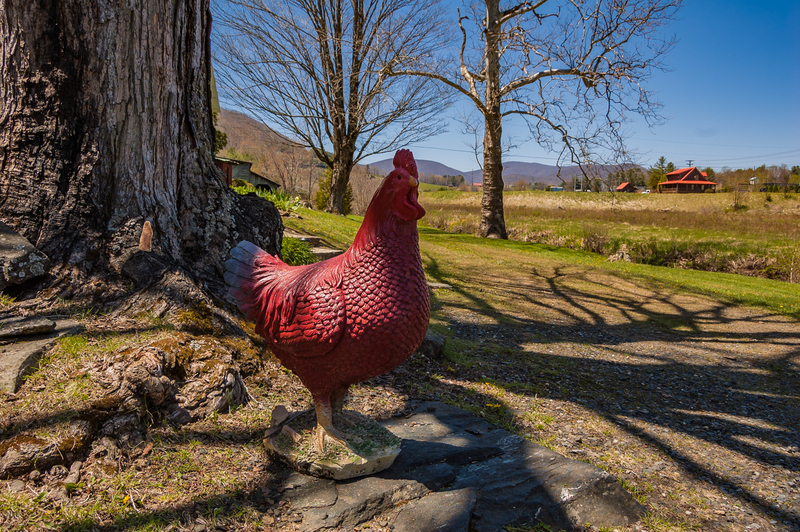 "We were very pleased with our stay at the Little Red Hen. The kids spent hours wading in the stream while the adults relaxed in the shade of the large trees on the lawn. We fished, picked blackberries, and roasted marshmallows. Our kids loved the daybeds and bunk beds, and were asking to come back even before we even left. The house is spacious with more than enough room for two families." "House exactly as described. Very spacious,clean and a very charming home. Would highly recommend staying to someone else. "We had a great time at the Little Red Hen!! We loved the old farmhouse feel and the convenience of the location. We felt like we were at home, and there was plenty of room for our two families of four each. The house was very clean and well-appointed!! We would absolutely stay there again and look forward to the opportunity!! A great choice for us!!" "Wet. Rained heavily the entire time, but we had a ball as always in West Jefferson. House has great charm, but then, I grew up in an old structure." "We absolutely loved coming to stay at The Little Red Hen! It was the perfect home away from home. Everything was exactly like the pictures. The customer service was also very very wonderful! Such nice people with such a cute and relaxing vacation home. If we ever trip to North Carolina again, we will definitely try to stay here again. " "We had an excellent stay at the henhouse! Loved the firepit and being outdoors. " "We loved the old house, we spent time imagining the generations that were raised was like going to Grandma's house for the weekend. The yard and the creek and outbuildings all made the setting 'real'. This is not a custom built vacation home, it is a real house, that was a real homestead. The management team made it easy to rent. A few caveats: Though there are 3 1/2 bathrooms, there is only 1 shower. 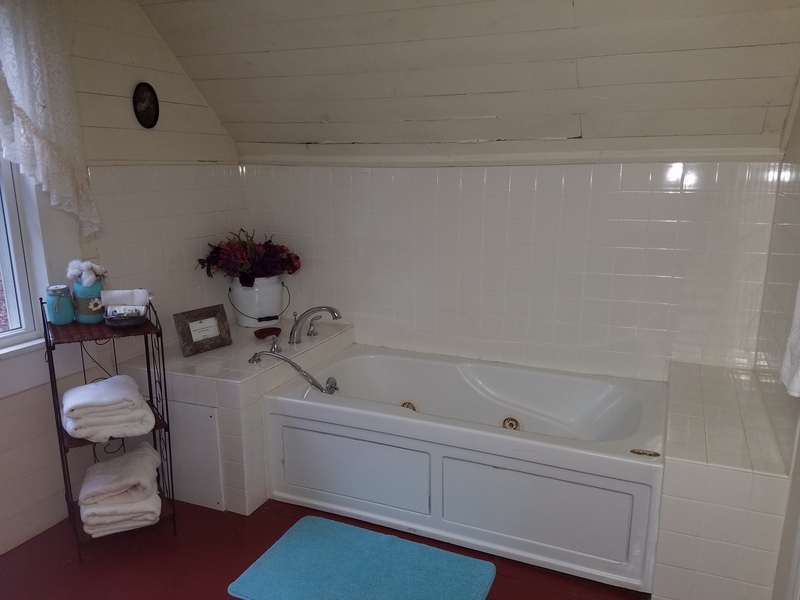 The bathrooms upstairs have nice jetted tubs, but no stand up shower, they do have handheld sprayers. Don't forget to bring some firewood for the fire pit." "We had an awesome time staying at Little Red Hen. The kitchen had a variety of utensils you don't normally see in a rental. The beds were comfortable. It was very nice sitting on the porch and listened no to the creek. All of the kids enjoyed playing in it and catching crawdads. The outdoor area had a picnic table and nice fire pit along with a grill. It was just minutes away from downtown West Jefferson and also Zaloo's Canoes. We went tubing on the New River. Very convenient location to grocery stores and restaurants. Overall, it exceeded our expectations and we were very pleased.we have told all of our friends how great Little Red Hen is. We will be trying to rent this place again the next time we visit West Jefferson." 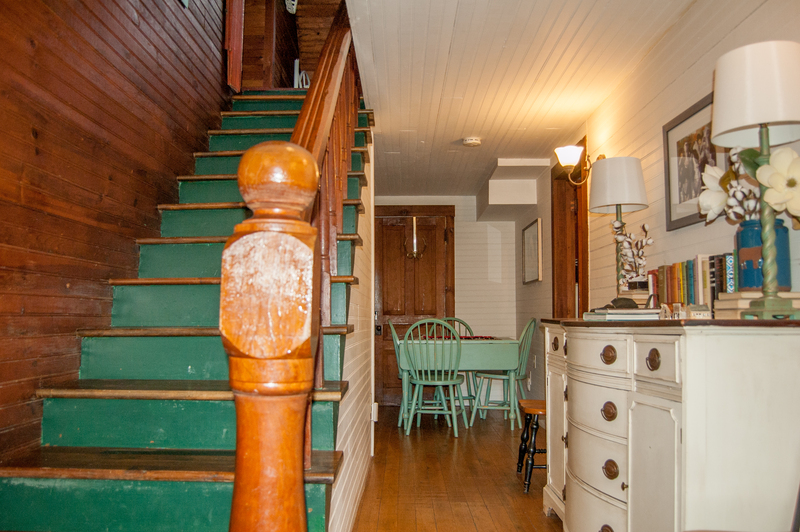 "Amazing Location, amazing old home and property, some of the furniture could be updated. Really enjoyed porch overlooking creek. For an old school feel, would DEFINITELY recommend." "The Little Red Hen was great! We stayed for three nights over the Fourth of July. Although it was a little rainy, we made the best of it. The porch is a great place to hang out and the yard is beautiful! I couldn't have been happier with our stay. "